Indrek is a seaman with 20 years of experience. He has sailed practically all of the seas on merchant ships and been a senior helmsman for the last eight years. On long sea voyages, he found meditation and now does it during apheresis, which lasts 45 minutes. “I like to reflect on the fact that I always come here in good spirits and pass that positivity forward to people who need it,” he says. 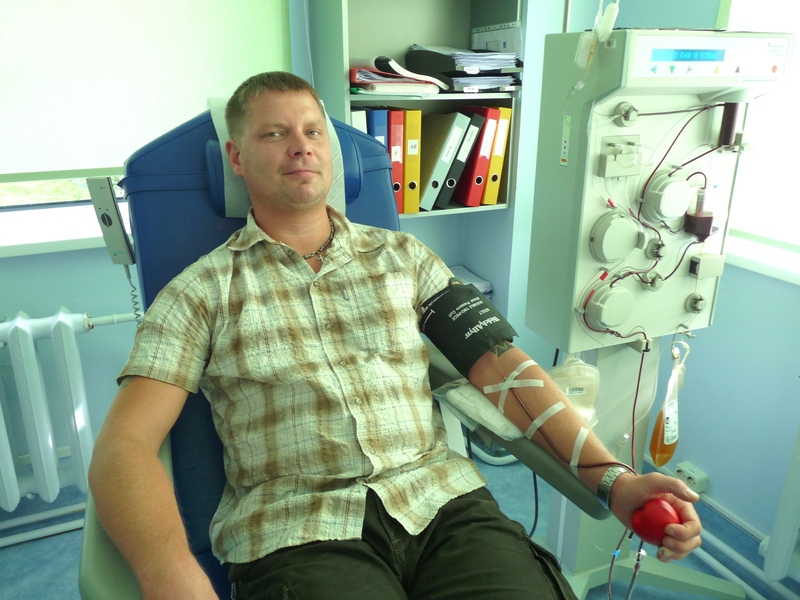 For Indrek, apheresis donations are a natural part of life – he undergoes the procedure once a month at the Ädala street location. “For me, it’s just a way to do good. After apheresis, I always have an amazing amount of energy for a few days,” he says. The photo shows his 55th time giving blood.